What a great weekend I just had! Day # 1 was a polka dot filled day spent celebrating the upcoming wedding of a friend, with gorgeous company and wonderfully bright coloured macaroons at a Hen’s Tea. 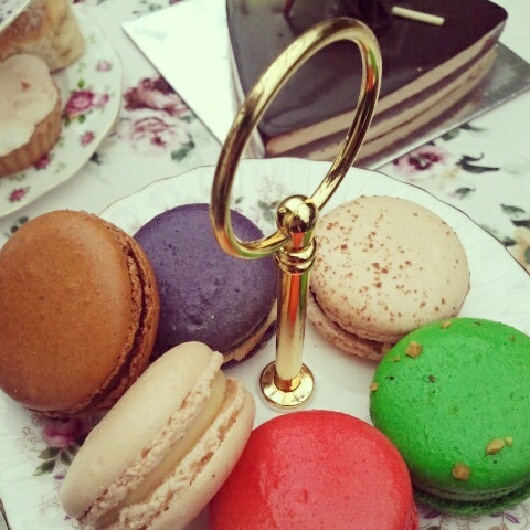 Yes, a Hen’s Tea, afternoon tea with gooey, nutty cheeses, sparkling wine, sweets, treats and tea in proper tea cups. Did you know you can hire tea cups and saucers for such an occasion? Some of us are lucky enough to own beautiful tea cups and saucers but if you don’t, there’s someone out there that will share theirs with you. Day # 2 was spent at a solitary bee workshop where Dave and I learnt about Australian native solitary bees that live in the Sydney area, where they like to live and how we can provide those spaces for them in our own garden. It was a great workshop. Dave and I were almost the youngest there, believe me that doesn’t happen much these days. 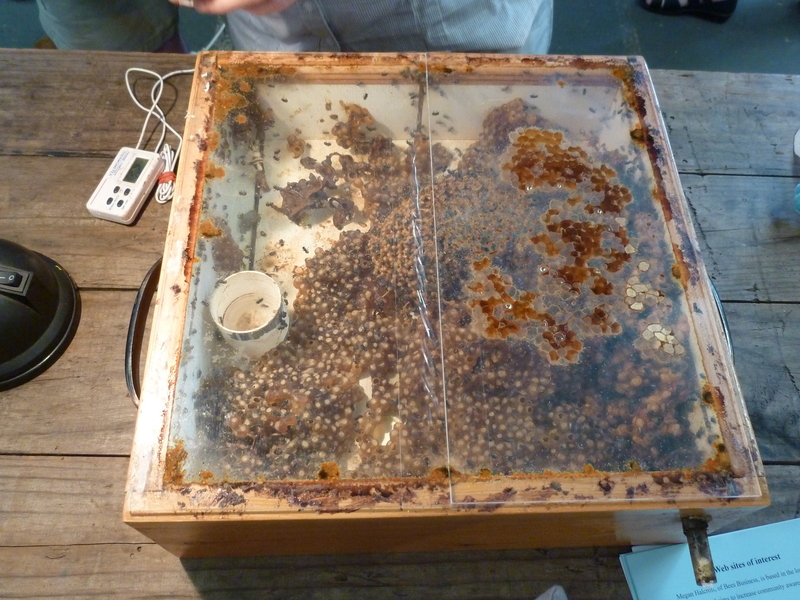 But more surprising was the amount of people present who have a stingless bee hive in their garden. Yay! We got to have a rare look into the hive of the Stingless bees. The workshop was run by Wild Things NSW, with guest speaker Megan Halcroft. In April Megan will receive her award for a Degree of Doctor of Philosophy for her dissertation “Investigations into the Biology, Behaviour and Phylogeny of a Potential Crop Pollinator: the Australian Stingless Bee, Austroplebia australis”. She said she knows all there is to know about Austroplebia australis species but, like the workshop attendees, is learning about solitary bees and how to encourage them into her garden. She has made many bee homes for various species of native bee and has them placed around her garden. The result is an increased number of bees making her garden their home. That is exactly what we want for our own garden, more visitors and not just the human kind. More bees, butterflies, birds, lizards and frogs. Unfortunately the frogs are unlikely to visit me because I don’t have a body of water in mygarden, I just don’t have the opportunity for that, although… maybe I should work on that. 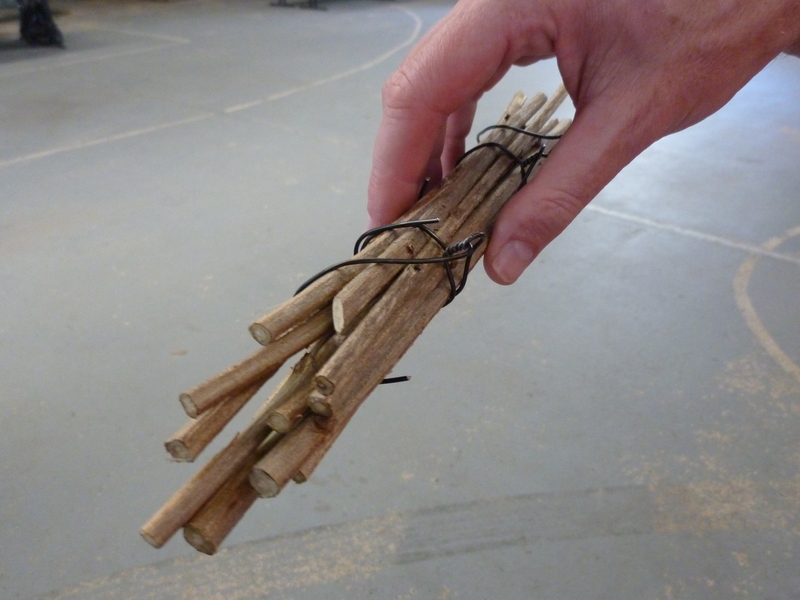 We were then shown how to make homes for native solitary bees: a Reed bee bundle and a Resin bee drilled wood block. To make the bundle you will need to collect branches from plants such as Hydrangea, Bamboo, Lantana or grape vine (this is not an exhaustive list). These are suitable because they have a pith centre – a soft centre within the bark that will allow the bees to easily burrow. Cut the branch into even lengths, about 15cm long. Next get some soft wire, something like Bonsai wire, bundle the branch lengths together and secure them togther with the wire. Make sure you have enough wire around the bundle to make it into a hook so that you can hook the bundle onto a tree branch. It’s as easy as that! Megan has more detailed instructions on her website, which can be found here. The pith in the centre of the branches. 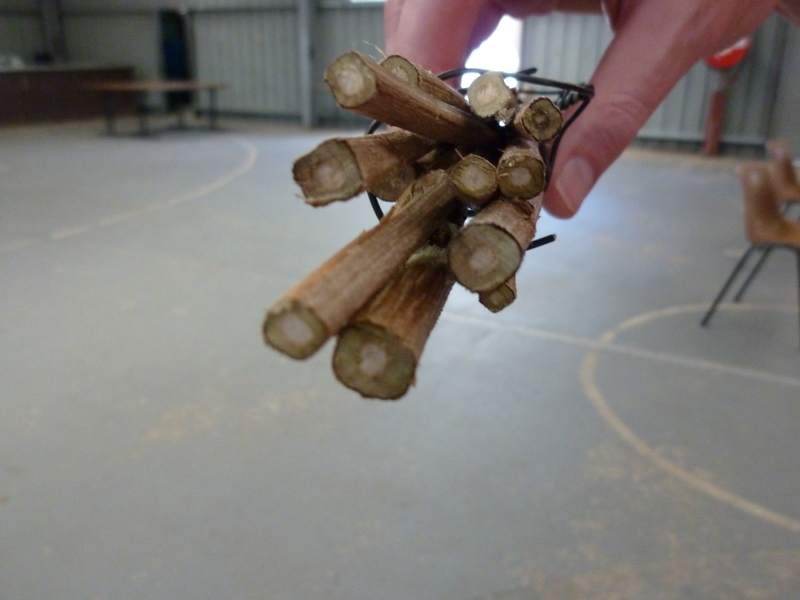 Before hanging the bundle in your garden use the end of your secteurs to burrow out a tiny bit of the pith. This will give the bees a little head start. I could go on to explain how to make the drilled wood block but I’ll be sensible and give you the link to Megan’s ‘how to’ page. To encourage Resin bees to your garden click here. Don’t worry if your fabulous, made with love, bee homes don’t attract any bees immediately – it may take a couple of years. You have to remember that the bees probably have a nice little home already and they will move into yours when the time comes to upgrade. Don’t move the hive to find the bees let the bees find it. We all know the saying, ‘if you build it they will come’, it’s the same for the bees, provide for them and they will move in and pollinate. For more information visit the following websites, they are a wonderful source of information, pictures and publications. Until next time, happy bee keeping. Thanks for the wrap and for spreading the word about our fascinating bees. I’ve really enjoyed reading your blog and think your ideas are charming. Good luck with your business and with attracting bees to their potential new homes. Good luck with you bee research.